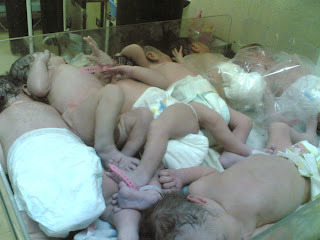 Egyptian Chronicles: A human tragedy at Shatby pediatric hospital !! "Updated"
A human tragedy at Shatby pediatric hospital !! "Updated"
Egyptian activist and medical student Hossam Hassan has just found a human tragedy at the Shatby Pediatric hospital. New infants are stuck over each other including premature babies at the neonatal unit at the famous major university hospital !! I want you to spread them across the internet , I want the minister of health and the members of the military council to see them in the morning and act quickly. This is just a simple example in my mind now from the Mubarak’s era !! By the way the Ain Shams university paediatric hospital is collecting donations to build a new hospital ,if you donate LE 100 , you will get this January 25 fancy pin. Ok I love the fact that after the revolution people began to act quickly not online but offline. 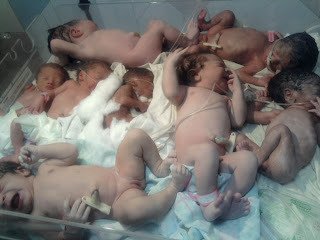 First of all here is a FB campaign to save the babies at the hospital. Second activist Salma Soliman reached to the minister of health and he told her that despite the hospital does not follow the ministry but rather the university of Alexandria , he will investigate the matter. Yosri Fouad has discussed the matter openly on air in his show , we sent him retweets and shared the photos with the viewers at home. 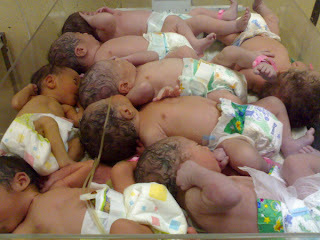 Now there are 70 babies at the unit served by 7 nurses only. This is TRAGIC! this has been going on for ages and it's been recently put on the net. Action must be taken against Gabaly for allowing this to happen in hospitals and i'm sure you'll find that same scene (if not worse) in other governmental hospitals! What's the big deal, it gives them an early experience of public transport. OOOOOO the military council, that will save the day. I love the army I so love the army! If hospitals can't cope, why aren't midwives trained properly and making house-calls? it isn't really rocket science and in many countries(both developed and developing) experienced and certified midwives take over the task unless there are postnatal complications. Hospitals are for sick people... giving birth is not an illness. According to the name of the clinic, the pictures are not from a maternity, but from a pediatric hospital, i.e. the place for infants and children with severe health problems. Unless a midwife is also a pediatrician, she is hardly the right person to "take over the task". They better get some diapers on those kids in photo 3. That's a disaster waiting to happen. Deplorable. It's one thing that Mubarak's budget for the State Security was more than that of Health and Education combined. But how on earth can any medical professional have the conscience to accept such a thing? Seems that had these photos not been taken, no one would have heard of this, and things would continue to be as they are. This really doesn't look real.. They look too white to be Egyptian babies. I'm not convinced. Not defending the Healthcare system, but it looks photoshopped to me. crying is not good enough. I am so glad we had a revolution in Jan 2011. Hopefully this image will not be repeated in the coming years. Mubarak, You are the worst thing that have ever happened to Egypt. I hope the court find you guilty and that you spend years in a small and a tight cell. Babies in plastic boxes stacked on top of each other like cabbages? the future of the nation in their first ours treated like vegetables? Egypt, you have so much to do, there are so few who can do it and so many who can stop it, and so little time to do it in. I am so sad. Every 23 second a baby is born in Egypt. Under "mass production": first by mother's labour induction, then epidural (spine anaesthesia), if- IF!- natural birth expulsion by KO of mother using laugh gas mask, Kristeller push and episiotomy; but normally babies in Egypt are born by.. C-section! How fast and easy, for mother, doctor, and the clinic. I am Egypt's first certified DOULA, giving natural birth classes for Egyptian couples in Cairo and supporting mothers during delivery since 2009, under all above mentioned conditions. 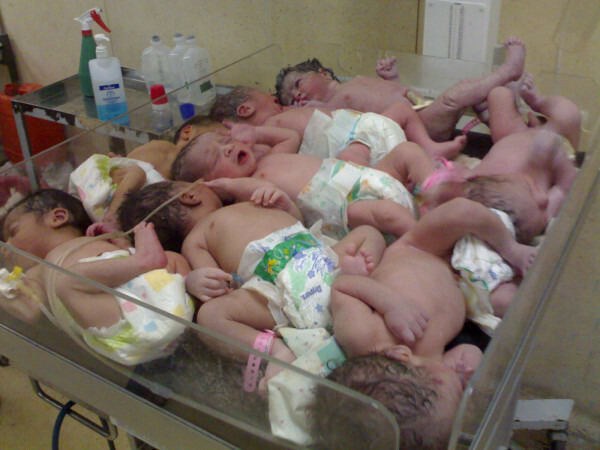 Newborn babies and delivering mothers are always treated as "medical case", or like factory goods. In ALL hospitals in Egypt. Since when? Since birth shifted from home birth to hospitals, obviously the situation is not related to any political condition. According to my birth support experience in Cairo, EGYPT needs to go back to NATURAL, SENSITIVE and HOLISTIC care of it's most valuable goods: people, especially its youngest! EGYPT NEEDS A RE-BIRTH OF BIRTH CULTURE! Insh Allah. Let’s work on setting up a professional midwife system, cooperating with obstetricians and pediatricians for the sake of healthy, strong and natural people in EGYPT! I can try to help. I did already by teaching natural birth techniques and helping with my constant encouragement during birth. But we need MORE doulas, midwives and DOCTORS willing to reset the birth factory and gruesome treatment of newborns here in Egypt. I am open for any feedback and cooperation. Thank you NAME for your great comment above! Who are you? Please contact me. Every 23 second a baby is born in Egypt. Under "mass production": first by mother's labour induction, then epidural (spine anaesthesia), if- IF!- natural birth expulsion by KO of mother using laugh gas mask, Kristeller push and episiotomy; but normally babies in Egypt are born by.. C-section! How fast and easy, for mother, doctor, and the clinic. I am Egypt's first certified DOULA, giving natural birth classes for Egyptian couples in Cairo and supporting mothers during delivery, under all above mentioned conditions. 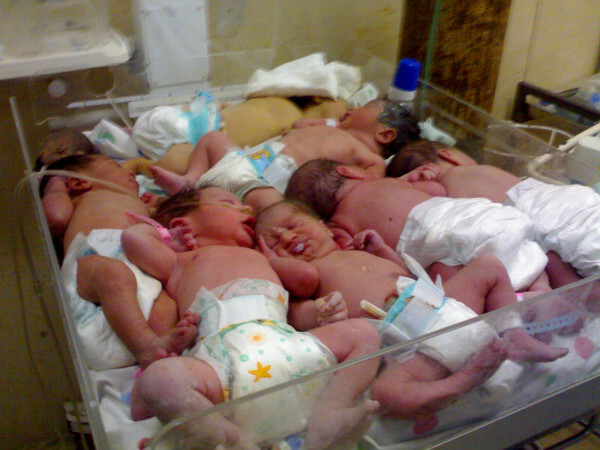 Newborn babies and delivering mothers are always treated as "medical case", or like factory goods. In ALL hospitals in Egypt. Since when? Since birth shifted from home birth to hospitals, obviously the situation is not related to any political condition. According to my birth support experience in Cairo, EGYPT needs to go back to NATURAL, SENSITIVE and HOLISTIC care of its most valuable goods: people, especially its youngest! Comments should not be removed no matter how sick nor how sarcastic they are. Just because you disagree with them. If that were the case I would ask for yours to be removed because I dont like that you want someone else's posts removed. If you dont like someone's comments ignore it, skip it, maybe even have a system to vote it down, or maybe erase it from your view, but to silence someone because you dont like it? That's not fair at all. A country's welbeing is expressed how human beings treat each other respectfully by observing common laws, rules and regulations. Egypt is everyone for himself/herself, maybe this revolution can change that attitude. Mubarok to blame? The fact that you fruitful pace? "Do not tell! " You start diarrhea, will blame Mubarok, what wrong with these pictures? Your revolution is held hostage by the military, did they not arrest a young citizen who dared criticise them on the pretence that he did that under current laws which prohibits freedom of speech against the military? what a joke that law is iewed from a position where we think the democarcy movement has succeeded. Are they not smart enough to realize that the moment the Egyptian democracy movement started in tahrir, freedom of speach was established by default as part of the democratic movement, and any current laws which existed that prohibited freedom of speech were no longer recognised by freedom seekers thus the new democracy movement nullified any law that supresses freedom of speech against any non democratic state or indeed the army which by the way, should be separated from politics. that is what democracy is, it is about freedom of speech.Until the military as an interim government guarantee freedom of speech leading up to the election, and learn to accept criticism, the egyptian election will be mufflled, and the world will always assume that Egypt's democracy suceeded because the military let it, in my book that means the military can do whatever they like with the state, just like Gaddafi, only sugared. Free the young man immediately and let the people speak without fear of being arrested because of their democratic views. current laws? you mean the laws established during the Mubarrak era, what a joke that is. That's how babies are born here, lad. I think MR ANONYMOUS is either non-Egyptian or never had seen a newborn Egyptian baby before! Never seen such a tragic scene before, though I work in Egyptian hospitals since 2004 and I spent some years before that studying at a University hospital. It becomes more bitter when one knows that this tragedy happens in a University Hospital, i. e., a hospital on the top of the medical care ladder in Egypt. What's the situation in smaller hospitals then? @Z, the long Cairo Birth House post appears in triplicate. Might be nice to nuke two of them. @I., "please remove sarcastic comments above, they're sick" It all looks like fair commentary to me. You're too sensitive. I believe you are right. This looks like a delivery room servo rather than a neonatal unit. Besides, all the babies in the pics do not look like premature babies. This is horrid! Can one donate online? How? And you suggest that doctors should pay for NICUs or what...now those in charge r monsters coz they admitted these kids in the first place....for good God's sake, cut the doctors some slack...the photos are about pediatricians dealing with extremely low resources and keeping those kids alive...u guys suggesting not admitting those children or what? I am not sure when these photos was taken but, I just NEED to say that I do not believe that this is actually going on in Misr/ Egypt. It might be at a University Hospital called Ain Shams University but everything about that Hospital is there fault. One thing the Egyptian people have yet to learn is that NOT everything that goes wrong in their country is the governments or "Husni Mubariks" faults. They look at other countries and see how beautiful it is and say "wow, are government does not do this for us"
Well what they do not know is that a community is not built by its government. If any government should be labeled bad it should be the USA since anything that becomes worth while is snatched away by the creator of it and not calling it theirs. At least here in Egypt if you built a business and then it became big its still yours. The people do not give BACK to there community here and whats theirs is theirs.... they do not believe in giving back to there community. The rich are so greedy that they hoard there money instead they should use money to help build the government hospitals. There taxes are not geared towards giving back to the country, its to give bck to the actual store you purchased from. If the people gave back then you would not see such things like this going on. Oh' my! This is so brutal, why they just let the babies merge in just one space. This is very dangerous specially to the premature babies. I hope department of health make an action with this issue. Sorry to say but in usa you will never find this. Us govt may not always be or do right but we have orphanages and homeless shelters for our homeless(common to see begging children here). We feed our poor(while yours begs on streets)we have health insurance for the poor(while yours ends up in hospitals like this)we have disability support while yours sits mangled on the streets. Dont knock the usa. i lived here in egypt and now i am a believer in how great it is to be american and know CLEARLY what sets us apart from egypt and other third world countries. That photo is crime pure and simple those babies deserve so much better. #1-Egytpian/Black & even Indian babies are born with light skin! And who would even think to photoshop a Horrific thing as this pcture??? #2 These factory like conditions also exist (albeit it much less severe) in Asia, Israel and other countries. Medicaliztion of birth and children's care is a magnifying glass on how we treat all our citizens inclusing the elderly!!! #3 If the court find you guilty Mubarak, a tight cell would be too nce...perhaps an even tighter cell 6-ft under ground would be more appropriate!!! Yes this is sad that they are all crammed in there like this. But I must also comment that these babies are experiencing a lot more "touch" than many American babies who are left in the nursery alone to cry. A mother's warm chest and heartbeat would be preferred, but at least they are not isolated. I am just trying to find a silver lining for these little infants, even if it's far fetched. Those babies should be with their mothers, but, barring that, I am sure they are much warmer, safer, and happier than babies left alone with no human contact. Warmer?safer? as usual facing your lack of compassion, you always find a false excuse for your incompetence, babies treated like sheep on the pretext that they experience more touch and they are warmer, well come to look at it, so are the sheep when crammed against each other. easy solution: in every way and even with very premature babies, the most natural, safe and common sense place for them is in their mother's arms. cheap too. الله أكبر! قنبلة في منتصف الصواني تكون جيدة عظمى. الله أكبر! جلب الموت على الضعيف. الله أكبر!